Some cars are destined for greatness, others not quite. Without wishing to offend owners of these cars, here is a quartet of home-grown offerings that in our view haven’t quite stood the test of time. We appreciate that some are contentious (although you could argue that the fact they have made our list and are often derided by the motoring press makes them classics in their own right). 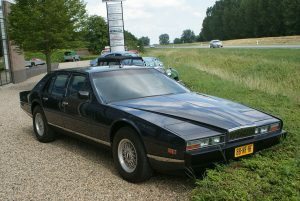 The Aston Martin Lagonda was certainly distinctive! The wedge shape Lagonda is considered by many as the ugliest ever Aston Martin ever. In fact its edges are that sharp that it might have been sensible to offer a set of plasters to cover cuts as an optional extra. It was included in Times Magazine 50 Worst Cars Of All Time and its aesthetic appeal divides opinion as much today as when it was first launched in 1976. 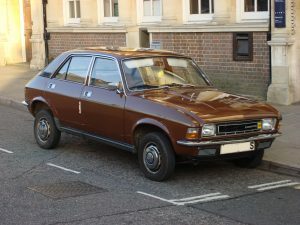 Just how you remember it, the Austion Allegro – in brown, of course. 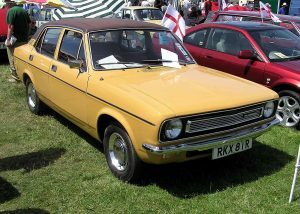 Once voted the worst car in Britain, the Allegro was made by British Leyland between 1973 and 1983 with some 642,350 manufactured. Famed for its infamous square steering wheel, accolades include ‘dumpy styling’, ‘more aerodynamic going backwards than forwards’, and ‘dreadful handling’. The vinyl roof really sets off this Morris Marina…or not. The Marina makes The Telegraph’s list of 10 Cars That Should Never Have Been Built. Little surprise given the criticism it has faced including being a ‘truly bad car’ with terrible handling and build quality. Despite all this the Marina was a sales success – there’s no accounting for taste! 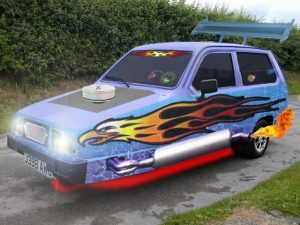 Maybe this Reliant Robin holds a bit more appeal! 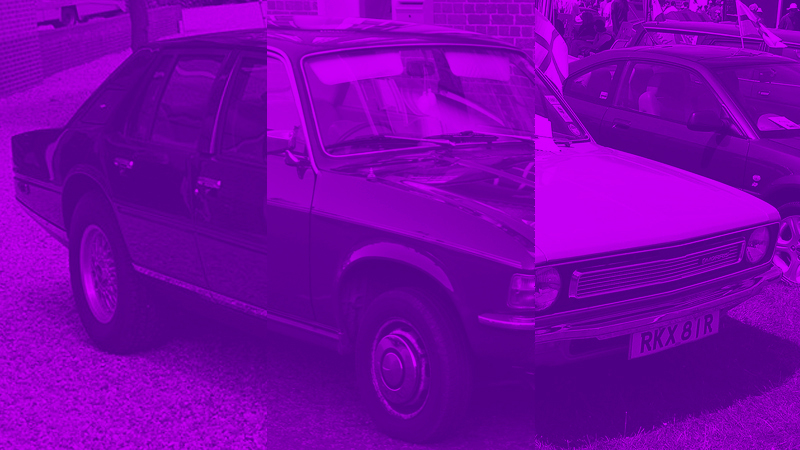 The Robin was once named the worst British car of all time, and that’s not just because it was missing a wheel. While power was in short demand with a 0.7-litre engine, later uprated to 0.8-litre, that was nothing compared to the fibre-glass body and driving along on just three wheels. ClassicLine would love to hear from you, whatever classic you drive (even those on our list).